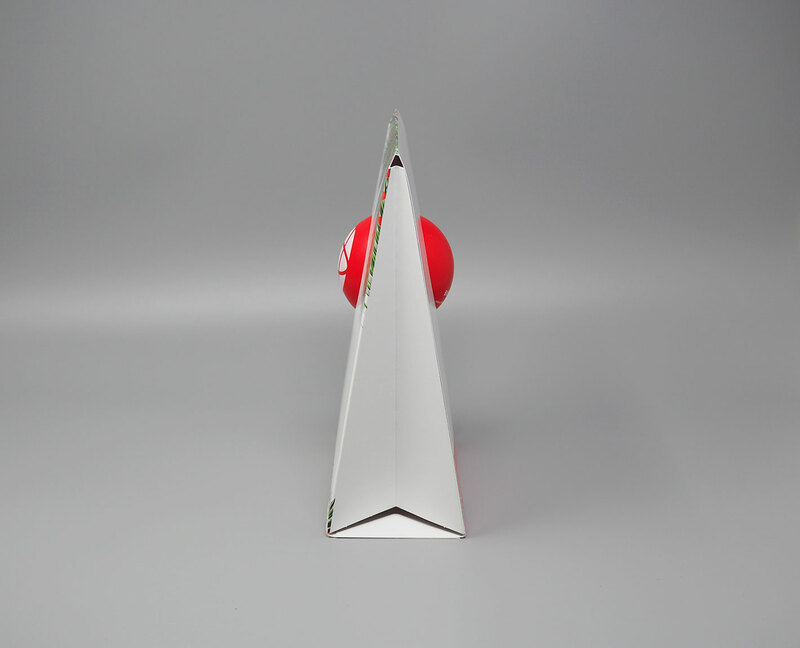 Design a direct mail campaign that stands out (and up!) among the competition. How can we stand out within our industry? 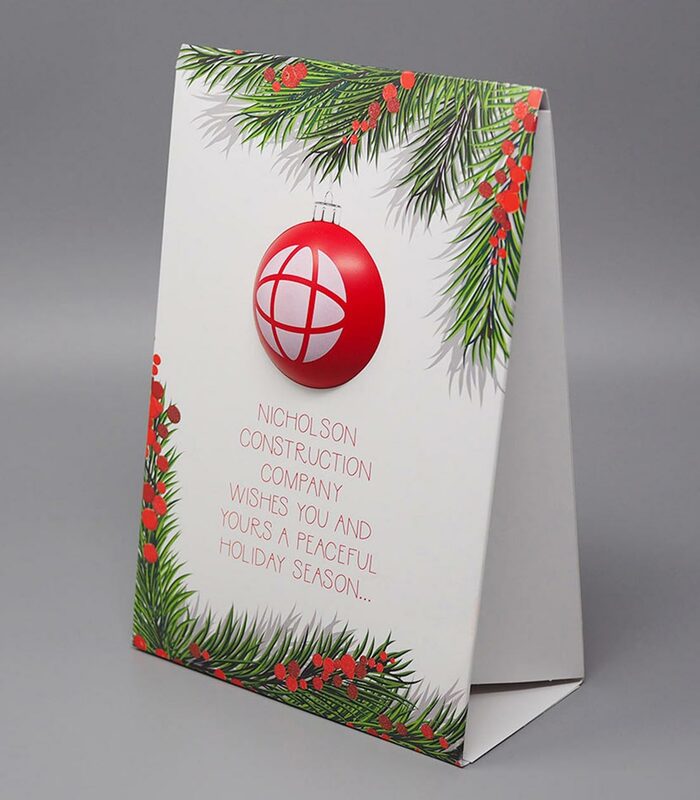 Holiday calendars were the status quo in the construction industry—and Nicholson decided to break free. They wanted to use the holiday promotion as an opportunity to make a connective impact—not just land in a pile of other calendars. At a time of year when the mood is typically joyful, the marketing team couldn’t ignore that the political climate was also creating a feeling of stress and uncertainty among many. Up for the challenge, they knew a holiday promotion that was unlike any other, was in order. Ready...set...go! An awesome idea was out there—we just needed to find it. I worked fervently and collaboratively with the marketing department and printer. A brainstorm-a-thon ensued. What resulted was definitely NOT a calendar! 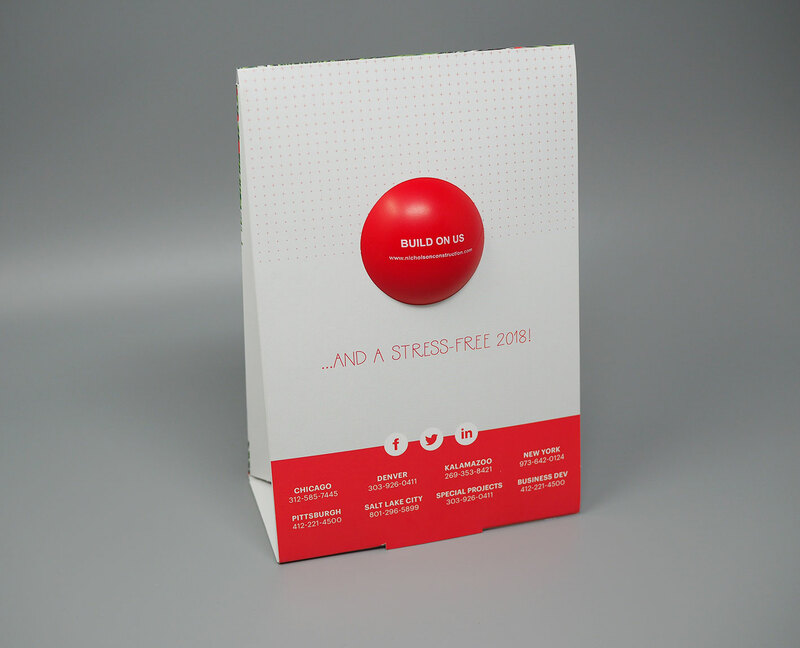 The custom stand-up desk-card housed a holiday “ornament,” which, as a stress ball, provided a subtle nod to the anxiety many were feeling. 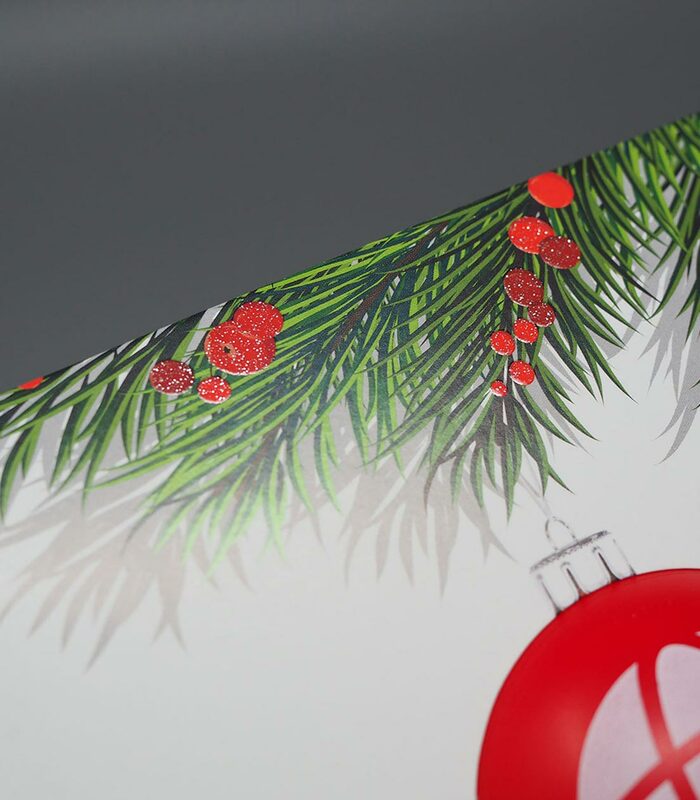 Spot glitter on the Holly berries added a little glisten to make this piece extra-special. 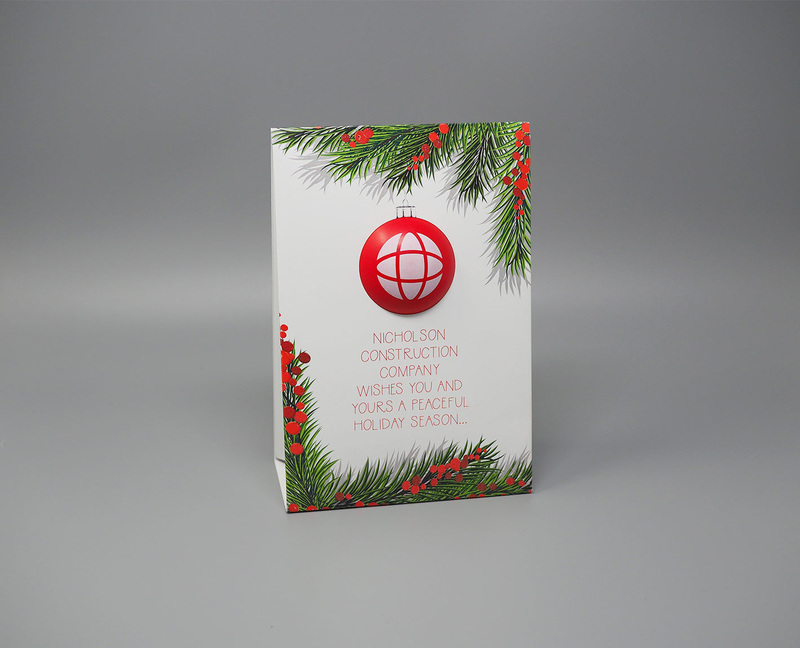 This holiday promo not only shared merriment, but also wishes for peace and a stress-free year.